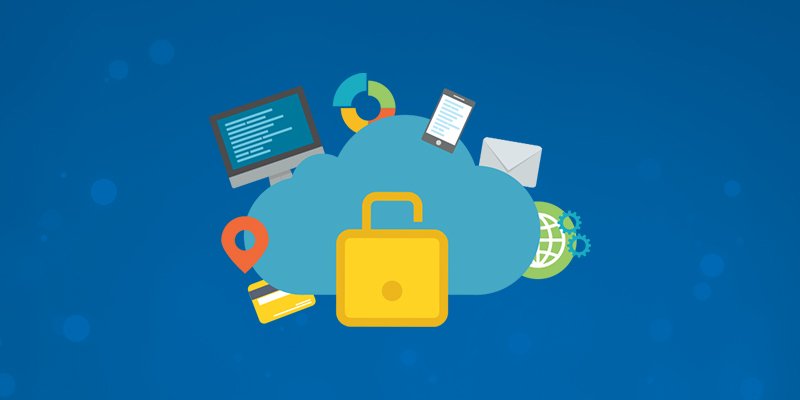 Office 365 has provided Data Loss Prevention (DLP) capabilities for email since Exchange 2013. 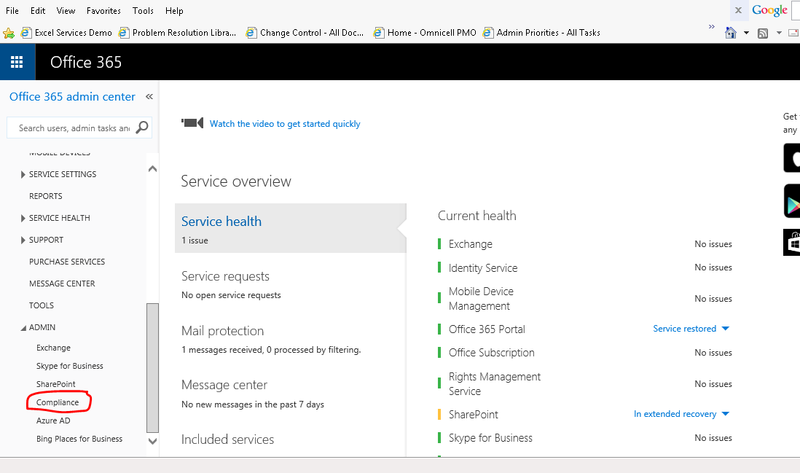 As collaboration extends beyond email to sites and documents, Microsoft has extended the DLP capabilities to these services in last year. 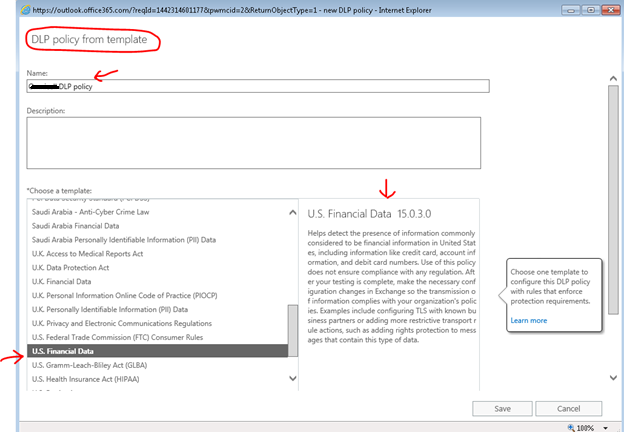 Last year Microsoft made some early DLP capabilities from Phase 1 available allowing you to find sensitive information in SharePoint Online/OneDrive for Business. These helped you identify high-risk items and allowed you to take manual actions on that sensitive content. 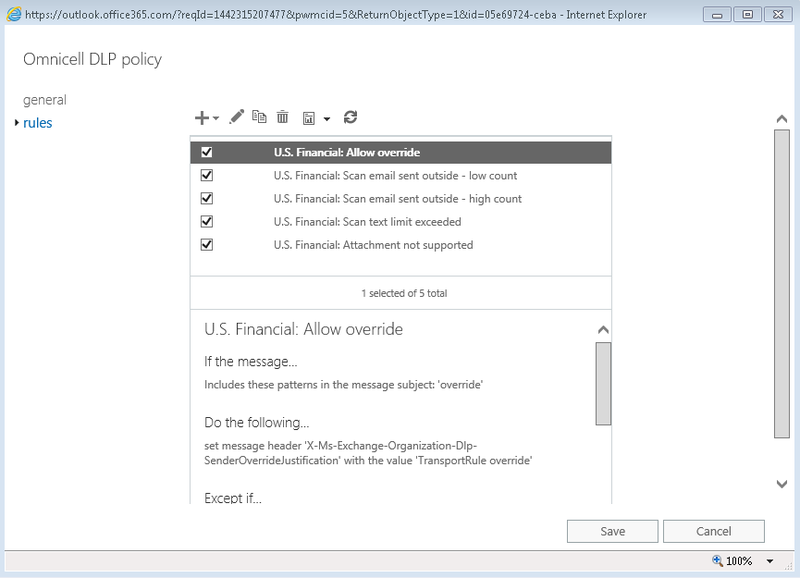 But with the Phase 2 public preview, you can now create proactive policies to remediate violations and empower your users with policy tips and notification emails so they can take the right decision while working with sensitive data, just like you do today with DLP in Exchange which was already there before. 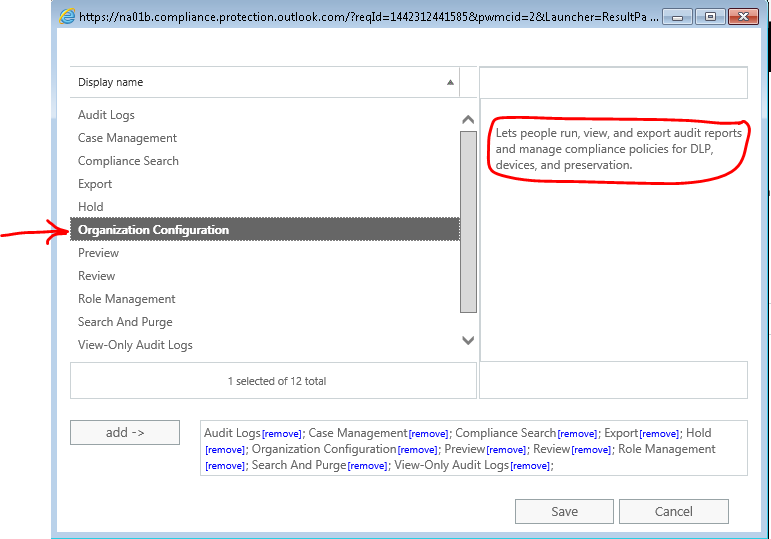 With the public preview, admins can now easily set up DLP policies for SharePoint Online/OneDrive for Business from the Office 365 compliance center. Policies take the simple construct of conditions, actions and exceptions and admins can use any of the existing out of box templates to get started. 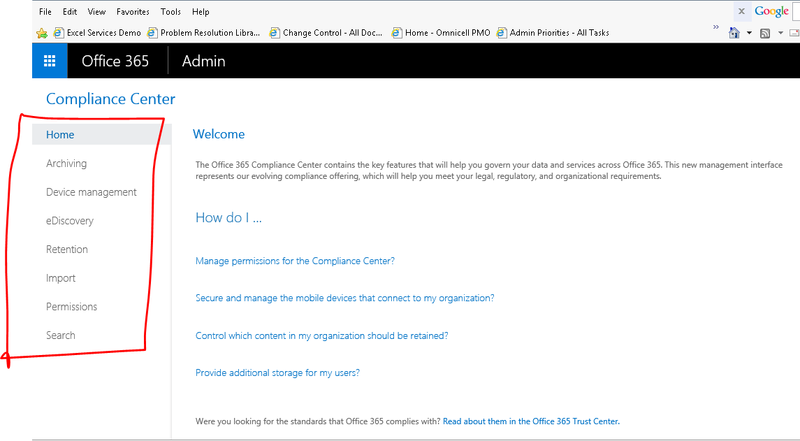 Starting first quarter of 2015, as IT administrators, you will be able to centrally enforce and manage DLP policies across the services and applications from the Office 365 compliance center , so that your end users always understand what is happening through real time policy tips. You will have the ability to enforce the first set of policy actions and education for SharePoint online and OneDrive for Business. 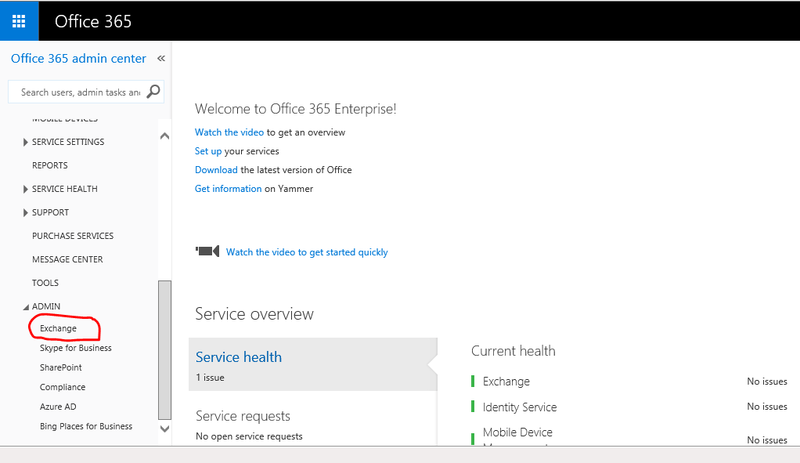 From the above two screen prints, it is clearly understood that DLP policies for SharePoint Online or for other services are not showing on the Office 365 compliance center. The correct screen print will be like below screen print – Collected as a sample. 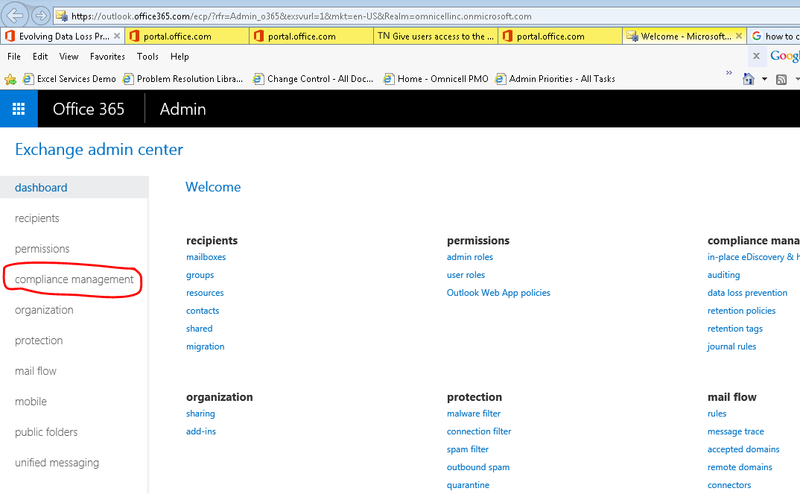 This section is typically for exchange only and not for other services like SharePoint Online etc. 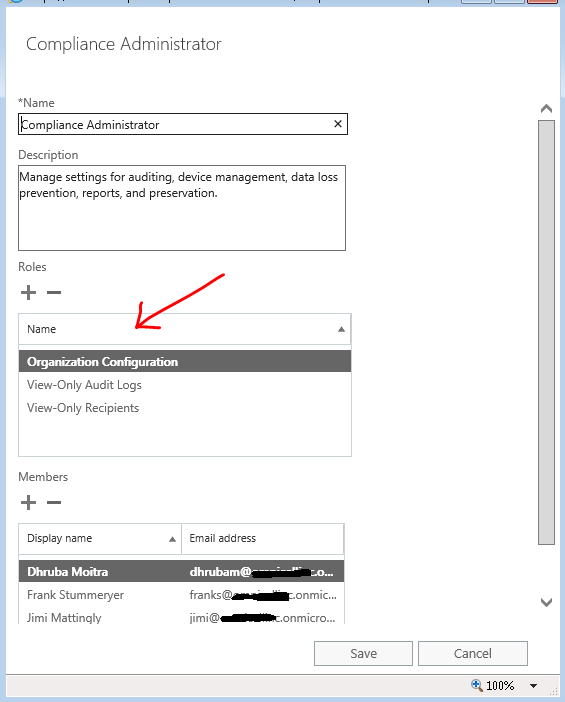 After you have successfully setup Data Loss Prevention (DLP), you will get “Compliance Management” option in Exchange Admin Center. 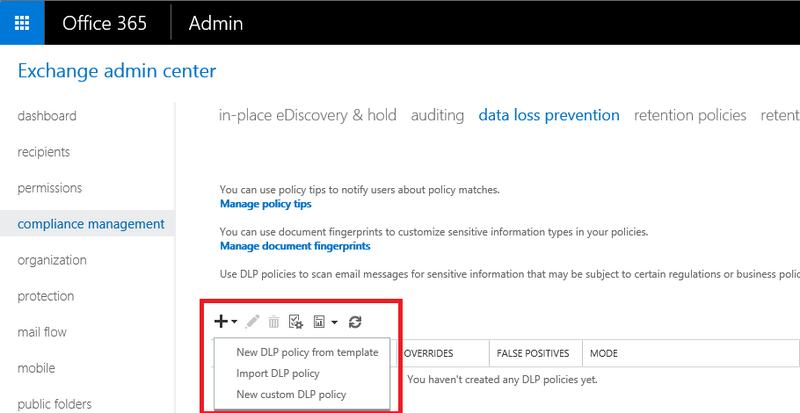 Now in DLP section, you can add create a policy for your organization. 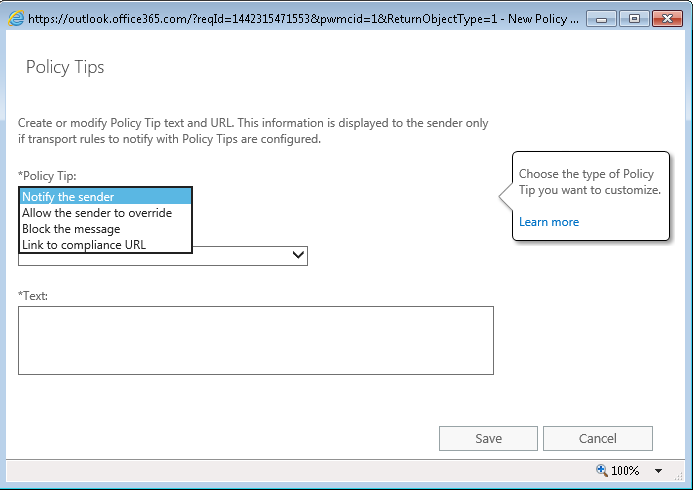 Now you will get three options – New DLP policy from template, Import DLP policy, New Custom DLP policy. Now you will see that DLP policy is created. 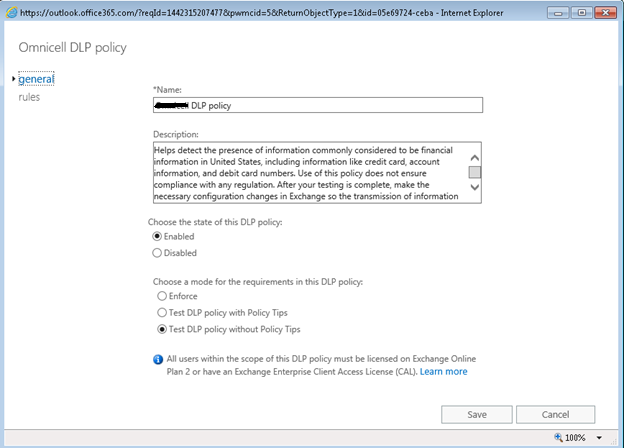 From this section you can test newly created DLP policy, after that you enforce this policy. Please follow future post on more Security Compliance features.